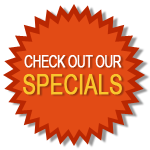 Why hire Bradley Electric to replace your homes outdated light fixtures in Westerville , Ohio? Light fixtures are sometimes the last things that Westerville, Ohio homeowners consider renovating. That is a mistake. The lights in a room make all the difference. Outdated lights can be inefficient, unattractive and dangerous. Here is why homeowners should call Bradley Electric to replace outdated light fixtures in Westerville, Ohio. One of the first reasons to use Bradley Electric to replace outdated light fixtures in Westerville, Ohio is that the company has decades of experience. Bradley Electric has been serving the area for well over 25 years now. 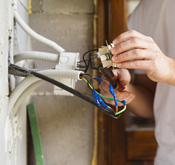 This means the electricians have the knowledge and skill to handle any situation related to lighting in the home. The job will be done right the first time. A major problem with outdated lighting fixtures is that they use antiquated technologies. Old fixtures can potentially be using several times more power than any modern light. This translates into higher power bills over the course of a year. Bradley Electric can replace outdated fixtures to help create a more efficient home. A new fixture installed using modern materials could lead to dramatic drops in electricity use. It is often easy to tell outdated lighting fixtures in Westerville, Ohio on sight. The fixtures frequently appear worn and unattractive. That can affect the appearance of any room. Bradley Electric is the right choice because the company will add in stylish new fixtures that match the decor of the rest of the house. The fixtures will actually enhance the appearance of a room instead of taking away from it. That can make the house feel more comfortable. Homeowners run a large risk when installing new light fixtures personally. 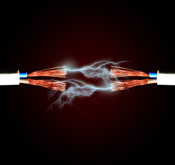 Small mistakes with the wiring can potentially lead to electrocution hazards or fires. Outdated fixtures might be so old that they are already fire hazards. Calling Bradley Electric in Westerville, Ohio will improve the safety of any home. Replacing outdated fixtures in the right way will greatly reduce the chance of fire, electrocution or other problems. That can give the entire family peace of mind. Outdated lights usually do a very poor job of illuminating a home. The fixtures might be putting out very dim or discolored light that makes it hard to see anything. Bradley Electric will choose the right level of illumination for any room in a Westerville, Ohio home. The new lights will provide bright and comfortable levels of illumination. That can make it easier to live in the house.